When hair fall turns into permanent hair loss due to various reasons, you may begin to go bald. In this case, you may be looking at hair transplants as a hair loss treatment, but you have some doubts. Here is a FAQ about Hair Transplant to help you. Before you fix up an appointment at a hair care clinic for a hair loss solution, you can get a clearer understanding of Hair Transplantation with our answers to your frequently asked questions. Hair transplant is a hair restoration technique through mild surgery. It involves removing healthy hair follicles from your own scalp and transplanting it on to the bald patch or hair-thinning region. A qualified and experienced hair transplant surgeon performs this hair loss treatment in a clinical setting. Who Can Undergo A Hair Transplant Procedure? What is the Procedure Used in Hair Transplant? While there are many hair transplant techniques, the most commonly used techniques are Follicular Unit Transplant, and Follicular Unit Extraction. Both are very effective procedures. Kaya Clinic, a reputed skin and hair care service provider, uses the FUE method, as it involves no major incisions in your scalp and so, does not require any stitches either. Where is the Hair for Transplant Taken From? Hair transplant is generally done for baldness caused by a hormone called DHT. This is a form of testosterone which can attach to hair follicles and destroy them. However, hair at the back and sides of the head are not vulnerable to DHT. So, healthy hair follicles from these areas are extracted for transfer to the bald area. Even if transplanted, these hair follicles remain resistant to DHT. 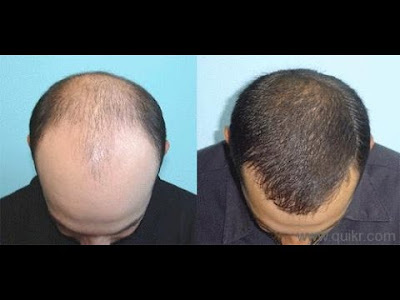 How is Hair Transplant Done in FUE? Individual hair follicles are extracted from the donor area. The surgeon does a 1 mm incision around them, to extract the hair with the roots. These extracted hair follicles are then examined and the best of them are sorted into follicular units of two to four hair. The receiving region is prepared for transplant by creating tiny punctures using a special needle. The follicular units are then placed here carefully, so that they take hold and grow. Will the Transplanted Hair Look Natural? The surgeon creates the punctures in the bald region in a pre-planned pattern. This ensures the best usage of harvested hair so as to provide maximum coverage and also to resemble your natural hair growth style. This ensures that the baldness is covered optimally, and the new hair growth resembles your normal hair, to completely blend in and look natural. FUE is a minimally invasive surgery. When done at a good clinic like Kaya, it is extremely safe. Why Should You Choose Kaya Clinic for Hair Transplant? Kaya hair care provides the best service for hair fall. Kaya Clinic uses the highly effective FUE method. 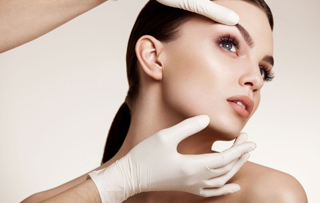 At Kaya the procedure is done in a safe and hygienic well-equipped clinical setting. It is performed by a highly qualified surgeon with a lot of experience in successful hair transplant. He or she is supported by an expert medical team. You can rest assured the procedure will be safe and effective at Kaya. First, be prepared for the newly transplanted hair to fall out within a month, this is normal. Within 3 to 5 months, the transplanted follicles begin to take hold and put out new hair shafts. Around eight to ten months after the transplant, new healthy hair will begin to grow, matching the hair growth in the rest of your head. You will be given post-transplant hair care instructions that you will have to follow strictly for the procedure to be effective. You will also be given some products for hair fall that help in inducing fast hair growth. Some time after new hair begins to grow on your scalp, Kaya will give follow-up hair treatments like PRP for hair, Nutri-Infusion hair treatment, and mild laser root stimulation treatment. All these enhance the effectiveness of the hair transplant procedure and ensure you soon have healthy hair growth in the transplant region. Male pattern baldness is a common problem. If the baldness becomes acute, then hair transplant can be a viable option. However, when you have severe hair loss, you can approach a hair care clinic to see if other hair loss treatments are available to slow down the hair loss and encourage hair growth too. Hair growth in both women and men goes through stages. However, the hair growth on your head is not synchronous. That is, all the hair does not go through the same phase simultaneously. A certain percentage of your hair might be in the growth phase, another percentage might be in the transition period, while yet another percentage of your hair might be in the resting phase. The three main phases are Anagen, Catagen, and Telogen. This is the growth phase. Hairs in this phase are actively growing and the hair shafts become longer. This phase can last for many years, from 2 to 5, or even upto seven years. The longer this phase lasts, the longer your hair. This is the transition phase. The hairs in this phase stop growing, the hair follicles shrink and detach from the skin. Yet, the hair does not fall out. This phase lasts just for a few weeks. Telogen is the resting phase,. During this period, the detached hair follicles remain in your scalp, but new follicles appear beneath these dead ones and grow. Telogen can last for a few months. This is actually part of the resting phase. As the new hair follicles beneath the old and shriveled follicles begin to push up, they eventually the eject old dead hair roots. So, hair shedding occurs during this period. Then, the new hairs enter the Anagen phase. In Androgenic Alopecia, a derivative of testosterone, a hormone called dihydrotestosterone or DHT, affects hair follicles. Usually, DHT plays a role in the development of males, making their voices deeper, stimulating hair growth in the face etc. However, in men who have a family tendency towards Male Pattern Baldness, the DHT targets hair follicles and destroys them. It also shortens the Anagen or growing phase and lengthens the Telogen or resting phase. As these changes in duration increase over each hair growth cycle, new hair and hair growth gradually slows down, leading to baldness. Before you begin to go obviously bald, you can try hair treatments, like PRP therapy for hair. Kaya Clinic PRP uses platelets extracted from your own blood to treat hair loss. PRP therapy is considered by many to be the best service for hair fall. Your blood is composed of different components - red blood cells, white blood cells, plasma and platelets. Platelets are not whole cells, but cell fragments with no nuclei. They are jagged in shape and their main function is to seal breaks in blood vessels, in order to stop bleeding. Platelets also contain numerous growth factors that stimulate cell growth. This is what makes them so effective as a hair thinning solution. In PRP therapy, 20 to 25 ml of your blood is drawn into vials. These vials are then placed in a centrifugal machine and spun at high speeds. This separates the plasma and platelets from red blood cells. The plasma that is rich platelets is then removed and then once again agitated using the centrifugal machine, to extract a higher concentration of platelets. These platelets are used for the PRP Treatment. In PRP for hair, the scalp is first stimulated to awaken the wound healing process. A topical local anesthesia is applied to prevent the patient from feeling any pain during the treatment. Then the prepared platelets are injected along the thinning hairline at small intervals. The treatment is repeated over a period of several months for the best results. Within a few months, you will begin to see the results, as hair fall reduces and new hairs begin to grow. This is because the growth factors stimulate hair cell growth and also lengthen the anagen phase of the hair growth cycle. Hair growth cycles happen around 25 to 30 times over your life, ensuring continuous hair growth. Unfortunately, certain conditions like Androgenic Alopecia interfere with this cycle, shortening the growth phase and stretching out the resting or Telogen phase. Treatments like PRP therapy help by stimulating healthy hair growth and lengthening the growth phase of hair. A lot of us suffer from not only acne, but blemishes as well. In fact, acne is only one of the different types of blemishes. If you wish to understand what they exactly are and how you can treat them, then look no further. This article explains it all. Blemishes can be broadly classified as skin imperfections that occur when the pores on your skin get clogged. They can come in many forms like acne, blackheads, papules, nodules, etc. Some of these are explained below. Acne or pimples are caused when dirt and sebum get trapped in your pores, leading to bacterial growth. Acne can be caused by multiple factors like environmental pollution, hormones, or even stress. And the marks left behind when acne heal are also another type of blemishes. Acne can also appear as blackheads or whiteheads that appear as small black, yellow, or white bumps on your skin. These aren’t as prominent as pimples and appear on your nose or forehead. These can be larger than pimples. Papules are skin lesions that usually have a diameter of 1 cm. A lot of skin diseases like chickenpox, eczema, and dermatitis result in papules. Nodules form when tissues get collected in one place and cause a red bump. They are larger than papules. These are fluid or pus-filled bumps that occur when your body’s immune system reacts to an infection. Chickenpox is a form of pustules. These are small, dark spots that can occur on any part of the body. This happens when skin is exposed to the sun and is most prominent in people over the age of 50. These are a type of hyperpigmentation. It is amazing how little care can bring a lot of changes in your skin. Simple things like cleansing your face, using pimple marks removing creams, exfoliating frequently, can help your skin look clearer and brighter. Kaya ensures that you can get these simple steps right with their products. Kaya believes that everyone should have the right to look beautiful. Which is why expert dermatologists at Kaya have formulated a serum that helps eliminate all kinds of blemishes from your skin. As acne and blemishes usually occur when there is excess sebum on the skin, this formula is suitable for oily and combination skin types. This is a lightweight, fast-acting formula that reduces acne, reduces pimple marks and scars formed by acne and pimples. The formula is enriched with a potent blend of botanical extracts which include tea tree, burdock, tomato, and chamomile. Chamomile, burdock, and tea tree have antibacterial properties that fight the acne-causing bacteria. They help in reducing the pimple size which appears to be smaller in just 12 hours. Tomato, on the other hand, is a skin whitening agent that targets the marks left behind by acne and lightens them. To use this formula, you will need to first cleanse your face with a mild cleanser and pat dry. Take one pump of the Blemish Control Formula in your palms and apply it on the affected areas. Use upward and outward motions to massage the formula into your skin. Expert dermatologists at Kaya suggest that you use this product along with Kaya’s Advanced Acne Care Kit to get the best results. You can easily find these products on e-commerce websites or on Kaya’s online store. If you think that you need professional help with your acne and blemishes, you can opt for one of many treatments offered by Kaya. You can get in touch with one of the expert dermatologists by booking an appointment with them on the Kaya website. Dark circles and puffy eyes can diminish your natural beauty and make you appear older than your actual age. But don’t worry. Kaya Skin Clinic brings you a perfect solution that you can use yourself at home. The Brightening and Firming Eye Serum can lighten dark circles and reduce puffiness. 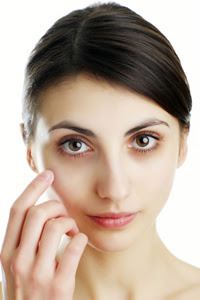 Read further to know why dark circles and puffiness occur and how this serum can treat them. Dark patches surrounding your lower eyelids are called dark circles. The skin surrounding your eyes is quite thin and is called periorbital skin. The blood vessels in your body reflect a different color, giving them a slightly bluish color. The same happens under your eyes too. Due to lack of sleep, stress, and many other factors that affect your skin, blood vessels under the thin periorbital skin can get ruptured and appear darker than other parts of your body. Sometimes, there is an excess of melanin produced here, because of which you might have darker skin under your eyes. What you need to know is that there are many factors that lead to dark circles. The most common problem is the oxidization of the blood around your eyes. Simply put, the blood vessels around your eyes can be damaged or ruptured. This can cause the blood to leak and give you dark circles along with puffiness. This is not a serious condition, but it can definitely affect your looks. Puffiness and dark circles usually go hand-in-hand. It is caused due to fluid build-up under your eyes, which can, again, be caused by several factors. This can lead to increased pressure on the blood vessels and can cause them to rupture more easily. Your under-eye skin is delicate. Naturally, you need to treat it with utmost care. Expert dermatologists at Kaya have devised a great way to fight these unwanted dark circles and puffiness. And the best part is that you can do this while sitting at home with the Brightening and Firming Eye Serum. It is a lightweight serum by Kaya that quickly absorbs into your skin and targets dark circles and puffiness. With a formula researched and developed by expert dermatologists at Kaya, the serum contains a potent mix of botanical extracts that naturally eliminate dark circles and puffiness. It is also suitable for all skin types. The serum is enriched with rice and soy peptides, hyaluronic acid, seaweed extracts, and yeast proteins. Seaweed is an excellent detoxifying agent and is rich in essential vitamins, minerals, and polysaccharides. The rice and soy peptides have skin brightening and anti-aging properties that eliminate dark circles. Hyaluronic acid is a moisturizer and helps maintain the skin’s natural moisture balance. The cream overall reduces inflammation, lightens skin tone, reduces signs of aging around the eyes, and prevents dark circles and puffiness from returning. Cleanse your face with a gentle face wash and pat your skin dry. Take a drop of Kaya’s Brightening and Firming Eye Serum in your finger and gently dab it under your skin. Use circular motions to gently massage the serum until it is absorbed. Repeat the same under your other eye. Use the serum twice a day to get the best results. You can easily buy this serum on Kaya’s online store and get it delivered to the comforts of your home. If you think that you need professional help to get rid of any skin concerns, then head over to the Kaya website and book an appointment with one of their expert dermatologists. You can even check out their other skin care products and services to get flawless skin. Pigmentation can be a stubborn skin problem, and can even lead to a loss in self-confidence. Not only does it damage the skin and cause dark spots but it can also speed up the skin aging process. Expert dermatologists at Kaya are always trying to help people get rid of their skin and hair problems. Some of the treatments offered by Kaya to fight pigmentation includes the Insta Clarity Peel. Read further to know more about pigmentation and this chemical peel treatment. Pigmentation can be a result of excessive sun exposure without proper protection. The sun’s spectrum includes UV rays that can harm the skin. Although most of the UV radiation is reflected by the Earth’s atmosphere, some of it, UVA and UVB rays, still pass through the atmosphere. Our bodies have also adapted to this. Our skin is made up of several melanocytes that produce a pigment called melanin. This pigment can help you protect your skin from the sun’s rays. But it also gives our skin its color. When UVB rays strike your skin, it can cause darkening on the surface (tanning). But UVA rays work at a deeper level. They can go into your skin and affect melanocytes to produce extra pigment in some regions, causing dark spots and uneven skin tone. If you think that you need professional help in getting rid of your pigmentation, then you can book an appointment with one of Kaya’s expert dermatologists on the Kaya website. Kaya has many treatments that can help you fight pigmentation. One such treatment is the Insta Clarity Peel. Pigmentation can occur in many layers. Expert dermatologists at Kaya diagnose your skin to find the depth and extent of pigmentation in your skin. In this treatment, a mixture of mild chemical solutions is applied to your face. The mixture is allowed to dry, after which it can be easily peeled off your skin. This not only works on the pigmentation but can also exfoliate your skin, removing deep-seated dirt and dead skin cells. Another great thing this peel can do is that it can lessen melasma and treat skin dullness. With extreme exposure to sun, your body can undergo hormonal changes. This can cause brown or greyish-brown patches on your skin, called melasma. Although melasma can fade on its own, sometimes, treatments are required to remove them. And Kaya’s Insta Clarity Peel can do just the same. The Insta Clarity Peel can be performed on different layers, depending on how deep your pigmentation is. In this, a mild acid with Alpha-hydroxyl is applied to your skin. This penetrates the outer layer of your skin and removes dirt and impurities. It can also soften your skin and contribute to an even complexion while lightening pigmentation. This is applied when pigmentation is between or in the outermost and the middle layers of your skin. A mixture containing glycolic or trichloroacetic acid is applied to the skin to remove deep-seated dirt. This peel also aids the lightening of age spots or patchy skin, freckles, and helps bring about an even complexion. This chemical peel is applied when pigmentation is quite deep. The mixture contains trichloroacetic acid or phenol that penetrates deep into the middle layer of your skin to combat pigmentation. This treatment can also remove moderate lines, post acne blemishes, shallow scars, and freckles. However, this treatment can only be done once on your skin. But it can also show a dramatic improvement in your skin’s appearance. It is important that you take care of your skin even after the Insta Clarity Peel treatment. Kaya brings to you nourishing day and night creams that not only lighten pigmentation but can also protect your skin from sun damage and prevent future appearance of pigmentation. You can easily buy them from Kaya’s Online store. Our skin is exposed to harmful sun rays and pollution every day. This can cause skin damage both superficially and from within. Pigmentation is one of the most common skin conditions that arise due to sun exposure. This can create dark spots, patchy complexion, and also result in premature aging of your skin. But you can get rid of this with Kaya’s Insta Skin Brilliance Range. It is best that you understand pigmentation before you rush to your dermatologist. Our skin is made up of melanocytes that produce melanin, the pigment that adds color to our skin. They produce melanin depending on the amount of sun exposure your skin gets. More exposure means more melanin, which accumulates under your skin to form a tan and pigmentation. Two types of sun rays can cause damage to your skin, UVB and UVA rays. UVB works superficially and darkens the outer surface of your skin, causing tan. But UVA works deep in your skin and can trigger melanocytes to produce excess melanin. This can cause dark spots and make your skin appear older. Pigmentation is not limited to facial skin. It can occur on any part of your body that is exposed to the sun. Pigmentation is of three types, epidermal (on the surface), dermal (within the skin surface), and mixed (both on and under the surface). Kaya is helping customers get rid of pigmentation and achieve radiant skin in many parts of India with the Insta Skin Brilliance Range. There are two types of treatments that come under this, a chemical peel treatment and a laser treatment. Whether or not you need either of these treatments depend on what kind of pigmentation you have. This is a safe chemical peel that reduces tan and pigmentation on the outer and slightly deeper surface of your skin. The derma peels are enriched with botanical actives that naturally lighten complexion and reduce the appearance of dark spots. The peel also improves cell turnover and helps make skin appear healthier and younger. Pigmentation can appear on many layers, even many layers under your skin. Which is why expert dermatologists at Kaya help get rid of deep-seated pigmentation with the help of a safe laser. The Insta Clarity Laser, or the Q-Switch laser, reaches layers that superficial products and chemical peels can’t. A laser is shot directly at the region of your skin affected by pigmentation. This disperses the melanin, which is then absorbed into your body. As the laser works directly on the pigmented area, the surrounding area remains unaffected. In case your skin has both dermal and epidermal pigmentation, then expert dermatologists will recommend a combination of both the treatments to get rid of the pigmentation. Along with these treatments, expert dermatologists at Kaya also recommend that you undergo the Lighten and De-Tan Facial. These facials help in skin whitening and treating skin tanning. The first step includes gentle exfoliation with Micro Derma Abrasion to remove dirt and dead skin. This also helps remove free radicals that can damage your skin. After this, an aloe vera gel soothes and moisturizes your skin to restore its lost moisture balance. A vitamin C enriched serum is applied to nourish your skin. And lastly, a BioWhite Facial Mask tightens pores and imparts fairness and a radiant glow to your skin. If you want help getting rid of your pigmentation, then you can head over to the Kaya website any time and book an appointment with one of their expert dermatologists at a clinic near you. You can also check out their other products that improve skin complexion and prevent premature aging.